The final concert of the 2018/19 season is here! 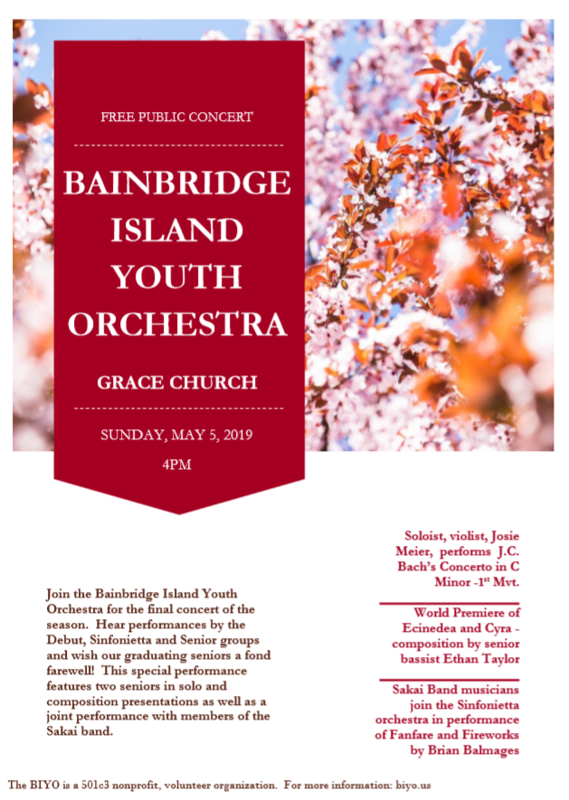 Join us for the Spring Concert, May 5th, 4 pm, Grace Church, Bainbridge Island. 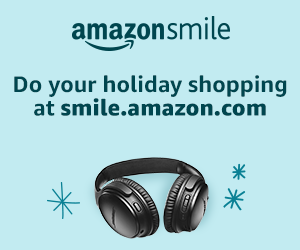 Select Bainbridge Island Youth Orchestra and your purchases will help our program. Thank you. ​AUDITION FOR OUR 2018-2019 SEASON! Auditions for Sinfonietta & Senior Groups 2018/19 are now closed. Contact Christine Edwards, [email protected], to schedule an audition. Bainbridge Island Youth Orchestra was named a finalist for the American Prize in Orchestral Programming! The American Prize—Vytautas Marijosius Memorial Award in Orchestral Programming honors the memory of the great Lithuanian conductor, Maestro Vytautas Marijosius, music director of the Lithuanian State Opera, and for nearly thirty-five years Director of Orchestral Activities at the Hartt School of Music. The Prize recognizes and rewards the best achievement in the unique field of orchestral programming, where the selection of repertoire by knowledgeable, creative and courageous music directors builds orchestras and audiences, educates young people and adults, and enriches the community.